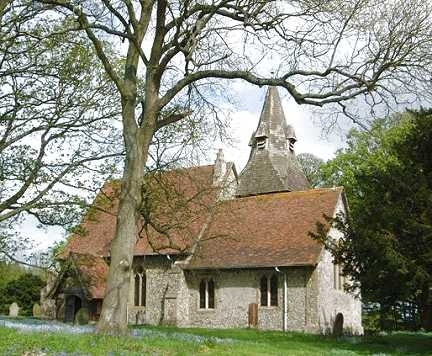 St Margaret's Church, Wichling is located just to the south of Doddington, to the South East of Faversham. The parish church of St Margaret lies attractively embowered in trees. From its churchyard there are splendid views north towards the Isle of Sheppey 12 miles away. A simple, but appealing building, it dates from the 12th, 14th and 15th centuries.